The Law Office of Nicholas Wood, P.S., specializes in and represents those who are both seeking a protection order against someone or who are defending against an order. In Washington State, there are many different types of court orders that can legally prevent a person or people from having contact another person or group of people. Contact can refer to any form of contact, like in-person contact, phone contact, texting, emailing, social medial contact, communicating through a third party or going within a certain distance of someone’s school, home or workplace. We have successfully argued and defended protection order actions locally in Vancouver, Clark County and in other jurisdictions in Washington. A court order issued on behalf of a petitioner who successfully proves to the court that he or she is a victim of unlawful harassment, as defined under Washington law. “Unlawful harassment’ under Washington law means a knowing and willful course of conduct directed at a specific person which seriously alarms, annoys, harasses, or is detrimental to such person, and which serves no legitimate or lawful purpose. The course of conduct shall be such as would cause a reasonable person to suffer substantial emotional distress, and shall actually cause substantial emotional distress to the petitioner, or, when the course of conduct would cause a reasonable parent to fear for the well-being of their child.” One of the most common examples of an anti-harassment order case I can think of involve neighbors. A court order issued on behalf of a petitioner who successfully proves to the court that he or she is a victim of domestic violence, as defined by Washington law. Domestic violence” means: (a) Physical harm, bodily injury, assault, or the infliction of fear of imminent physical harm, bodily injury or assault, between family or household members; (b) sexual assault of one family or household member by another; or (c) stalking as defined in RCW 9A.46.110 of one family or household member by another family or household member. 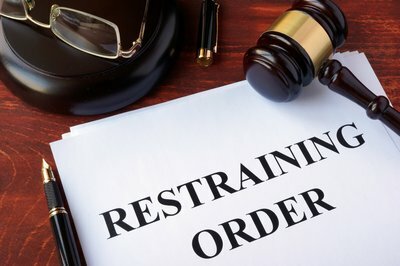 A civil order that protects a victim of nonconsensual sexual contact by issuing an order that prohibits the respondent from having contact with the victim. This order can be put in place regardless of whether or not a prosecuting agency decides to take on a criminal prosecution of the matter. The burden of proof is on the petitioner to prove by a preponderance to establish the need for the sexual assault protection order, versus beyond a reasonable doubt, which is the burden of proof required to establish a criminal conviction. The Law Office of Nicholas Wood understands what it takes to prevail and defend all of these protection order matters. Let our years of experience guide you in these difficult and sometimes very complicated matters.